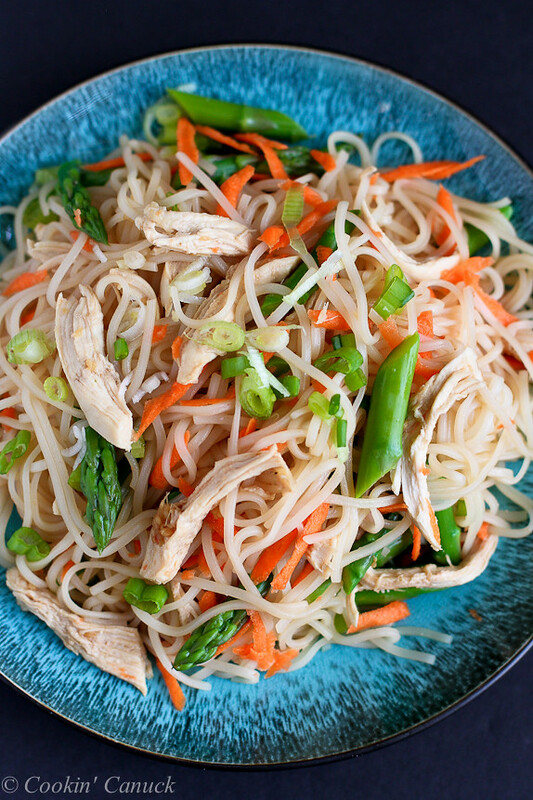 This make-ahead rice noodle recipe, packed with chicken and asparagus, can be made in 20 minutes. It’s one of my family’s favorite meals any time of the year! 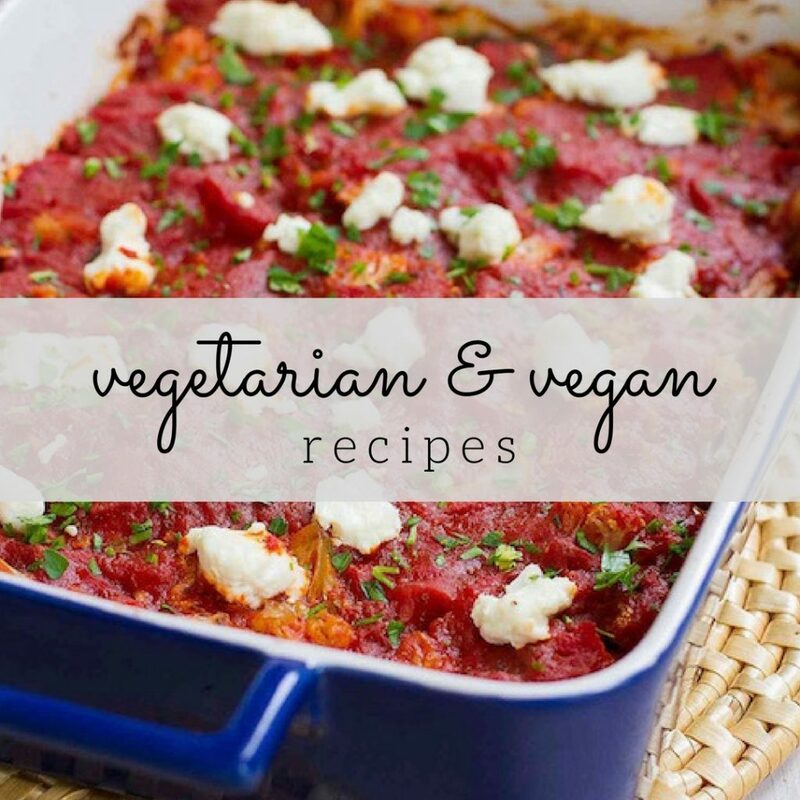 Switch up the vegetables and meat to suit your taste buds. I came into the kitchen the other day and found the backside of a 10-year old pointed at me from inside our pantry. His head was barely visible as he rummaged, grunting and sighing, clearly looking for something specific. “What are you up to, T?” I asked. Well, that was music to my ears. And I could even overlook the fact that half of the pantry ingredients were on the floor or toppled over on the shelves. I wish I could say that T was planning to put everything back in its rightful place, but that would be a downright lie. But what that boy lacks in tidiness (which I might as well admit he gets from me…it’s only a matter of time before my mum leaves a comment here, outing me on my lifelong messiness), he makes up for in creativity and thoughtfulness. We were out of rice noodles that day, which was rather unfortunate because I was dying to see what he would have come up with. Knowing him, it would have involved shrimp (a seafood lover, through and through) and red bell peppers, the latter simply because he loves chopping them. A few nights before, I made this chicken, asparagus and carrot version, and while T loved the dish as a whole, he could have done without the asparagus. Not a fan. But asparagus is popping up everywhere and I couldn’t resist using it in this noodle dish. The beauty of rice noodle salads, besides coming together in 20 minutes or less, is that they can be made ahead of time and are incredibly versatile. Don’t have asparagus or chicken? No problem. Substitute them with shrimp, beef or tofu, and veggies such as broccoli or spinach. It’s a clear-out-the-fridge kind of dish. The best kind, really. for a gluten-free version). For the chicken, feel free to use any kind of leftover chicken that you have in your fridge or the breast meat from a rotisserie chicken. Whenever I pull out chicken for a recipe, I typically poach a couple of extra chicken breasts so that I can have the meat on hand for easy meals like this one. This one’s for you, T. Well, minus the asparagus. If you make this recipe, I’d love to see it on Instagram! Just use the hashtag #COOKINCANUCK and I’ll be sure to find it. Cook the rice noodles according to package directions. Add the asparagus in the last minute of cooking. Drain and rinse well with cold water. Transfer to a serving bowl. Add the chicken, red bell pepper, carrots and green onions to the noodles and asparagus. Add the sauce and toss to coat. Serve. 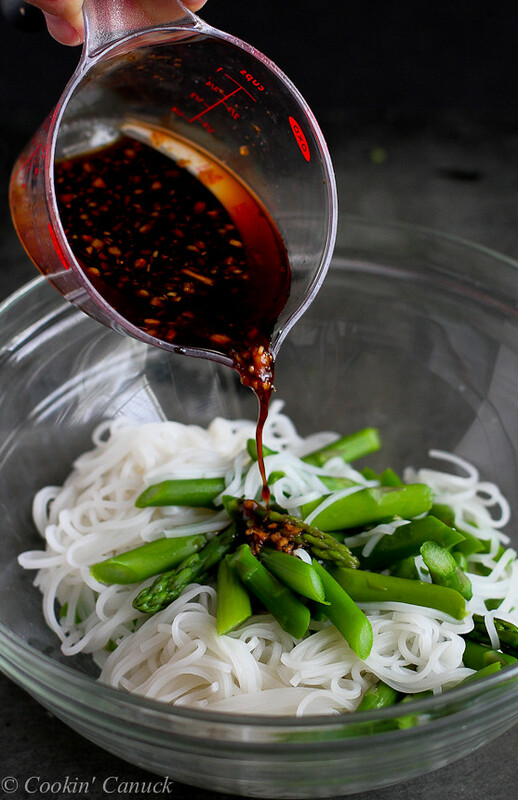 In a medium bowl, whisk together the soy sauce, rice vinegar, water, ginger, agave nectar and chili garlic sauce. Disclosure: This post contains links to my Amazon affiliate page. Any revenue made from sales through these links helps to support this blog. Thank you! This sounds so delicious. Pretty sure my whole family would love it! Somehow I always screw up rice noodles. You have inspired me to try again! First of all I have never heard my 14 year old son, 12 year old daughter or my 9 year old ever say anything remotely close to, “I want to make lunch for everyone!” EVER!! So kudos to just that! And the recipe looks awesome too! First, I love that we both celebrated spring with chicken and asparagus Asian dishes!!! Second, can your son come cook me dinner? I am a slight rice noodle hoarder and have TONS of them!! 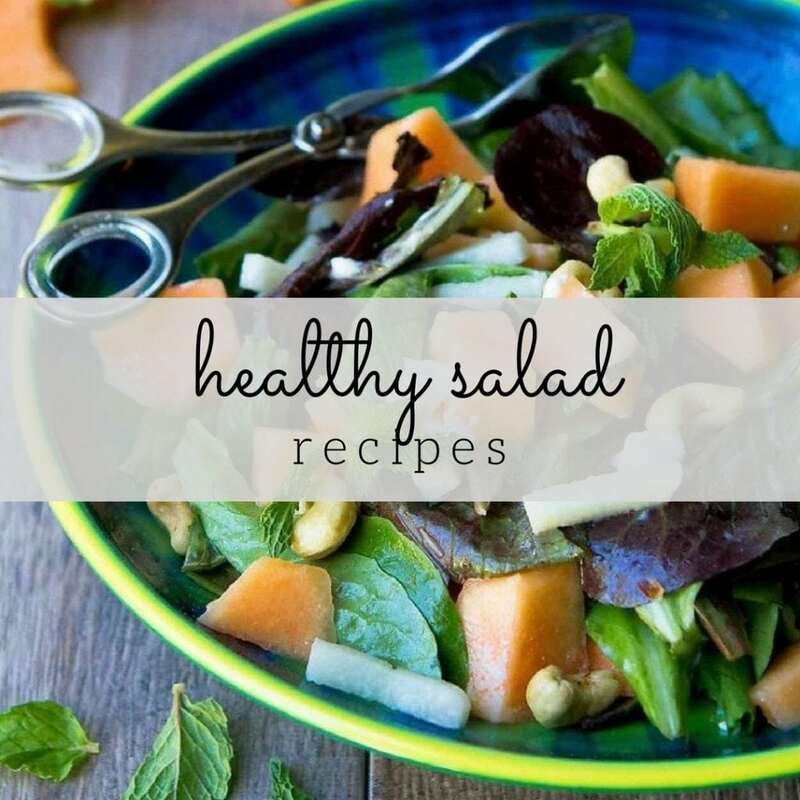 Love this salad – you’ve inspired me to make a cold noodle dish soon! I love the freshness of this recipe. To please my husband, I’d probably add some sort of protein to it (chicken or shrimp), but I will be making this. Can’t wait. I love this dish, Dara. It looks so fresh, colorful and healthy! Can’t wait to try! Awww, what a sweet kid :). I love the colorful freshness piled into this bowl…and that sauce sounds good enough to eat with a spoon! I’m a huge asparagus lover so I’m happy to takes the kids share 😉 This dish looks so simple and totally up my alley. 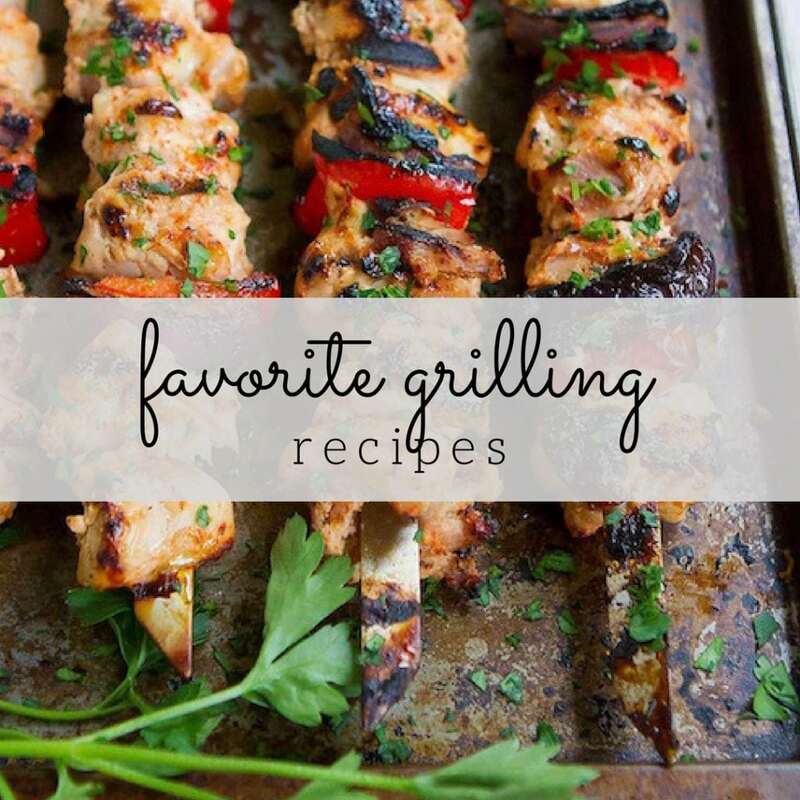 I laughed out loud when I saw you dedicate this recipe to T but without the asparagus. 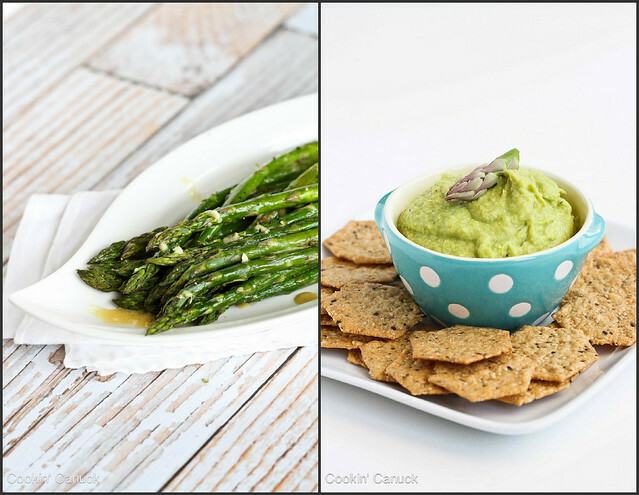 I was just thinking that my boys would love this recipe but 2 of them won’t touch asparagus. That’s so cute, Dara! I love when the kids get inspired and want to cook something. I think next time T may be making this or more for you. I just love rice noodles and I’ve been craving them recently every day. 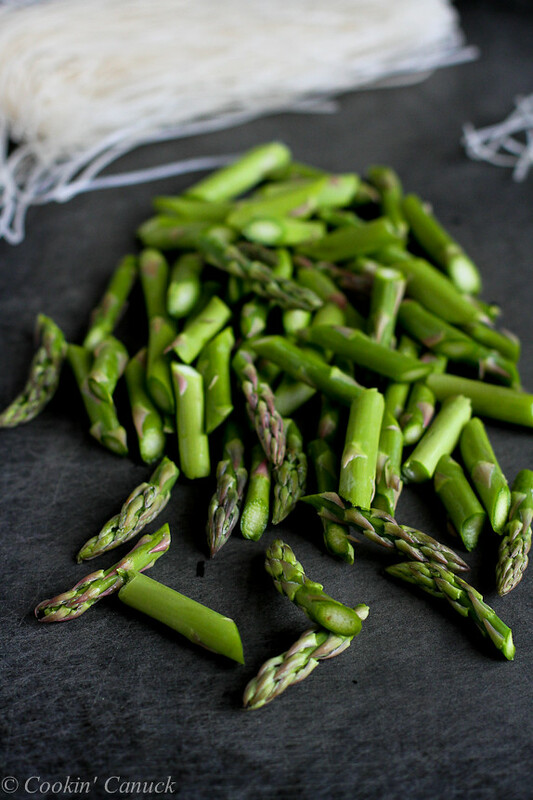 Wonderful spring addition of the asparagus! That’s sweet that he was trying to make lunch for everyone. I love rice noodles too, and adore dishes like this. I love this kind of a meal. You did a great job in make a tasty spiffy sauce for it too. It’s great for leftovers that is for sure. Sounds like you have passed on your passion for good food! What a delicious dish! I was just talking to my husband about how much I love noodle dishes! I want to dig right into this! We are total noodle freaks here….this is definitely going to make it on our rotation. 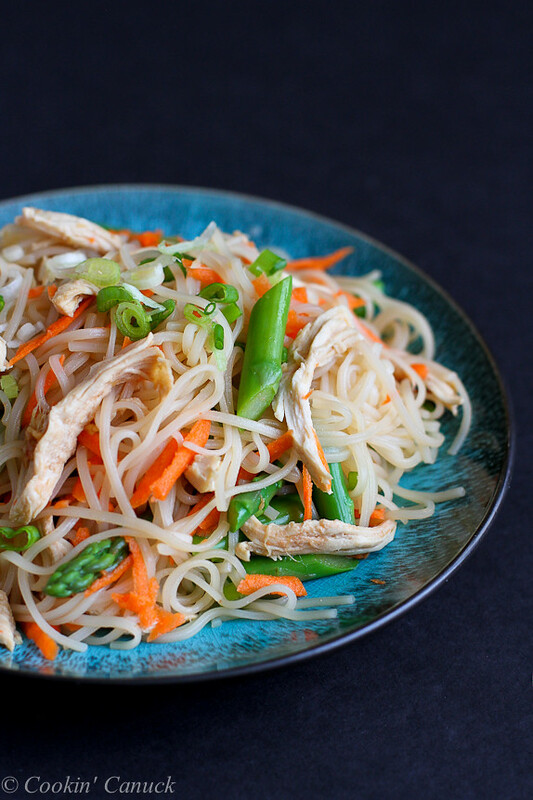 Thank you for the recipe because I have some rice noodles that I have no idea what to do with! Looks amazing! This is one stunning recipe, I am just sitting here in awe of all the gorgeousness in one post. I have to say I used to be super ocd about putting things in their place, now, not so much. We have a weird pantry so we have to pull stuff out all the time but I find myself lacking the desire lately to be all “sleeping with the enemy” about all the labels lining up. I used to be really particular. So silly. Talk about a perfect lunch. Love this, Dara! This looks so delicious, Dara! We recently bought a house out in the country, and it came fully furnished, even with a lot of stuff in the kitchen! The previous owner was gluten free like me, so he left us a couple packages of rice noodles along with some other kitchen staples. I hadn’t decided what to make with them yet, but I think this might be it! I love how easy it is to adapt with what you have on hand. Great meal! Love this salad, Dara. Thank you.